Another holiday season around the corner, the schools are closing down for Summer vacations, and the kids are getting restless. This is the typical scenario every parent faces at the end of the year. Because of the heat, children might not be able to go out and play throughout the day nor it may be possible for you to take them out for a short trip. Also, finding a summer camp would be difficult as very few are conducted. 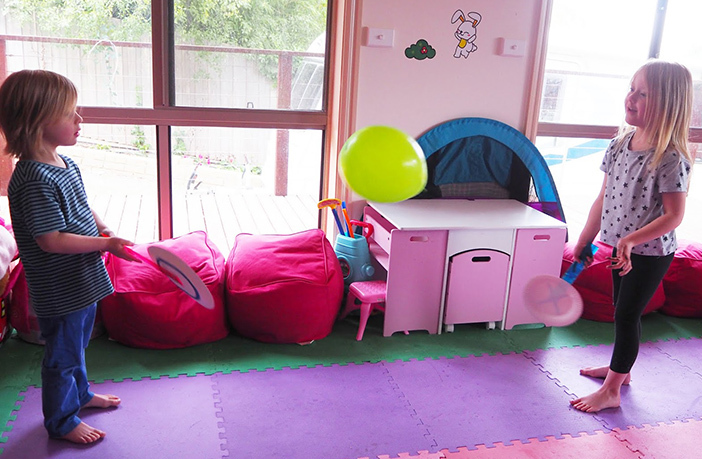 You can take a look at these indoor games and activities for children. But making the kids stay at home without getting bored is an inept task. If we don’t keep the children engaged in anything fun and interesting while staying indoors, their attention will soon turn to TV or mobile phones. 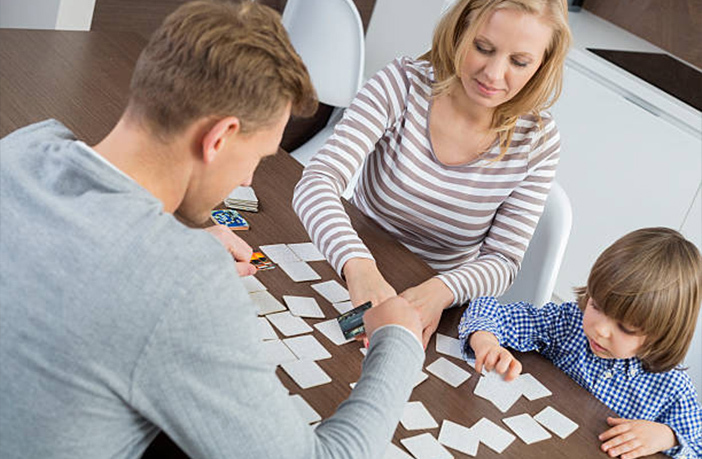 Let us see some interesting indoor games and activities suitable for children, which not only helps you in keeping them engaged but also helps your children in learning new skills, improve mind-body coordination, and simply keeps them happy. Just blow the balloon and make them play tennis with their hands. For more fun, try using ping pong rackets, plastic plates or even folder newspapers as rackets. Usually, a frog race is the most common animal race. Try bunny hops, chimpanzee walks, caterpillar crawl etc. These are not only fun but also very good physical exercises. Set up a tent inside your home using bed sheets and blankets. Get into the tent with your toy guns, toy jeeps etc. Play an imaginary game as driving in the jungle, hunting, and lighting a campfire at night. Blow bubbles and make your child bash them. To make bubble solution at home, take 1 cup of dishwashing liquid or baby shampoo in a container, add 3 cups of water and 2 spoons of glycerin/corn syrup/sugar solution to thicken the solution. Mix well slowly so that no bubbles are formed. Store for a day and use it to blow bubbles to your heart’s content. 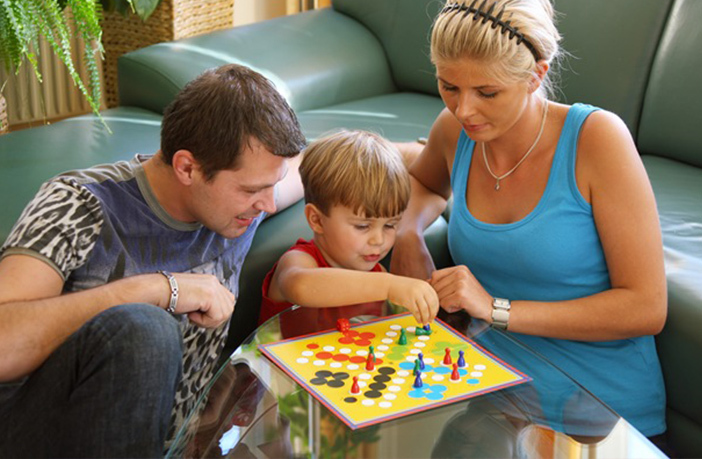 Teach your children to play board games like Snake and Ladder, Chess, Chinese Checkers, Scrabble etc. This is one of the effective way to play and spend quality time with family. Make your children put on their favorite socks and skate around on the floor of your house. Ask them to try spinning around or to slide the farthest. Using empty water bottles and a tennis ball, set up a bowling unit along a wall. Involve your kids in preparing snacks. Teach them to prepare quick snacks without using fire like bhelpuri, sandwich, salads, cake pops etc. Teach your kids simple yoga postures at home. It helps them in both physical and mental development. You can fix the time to do the yoga with your children in routine. 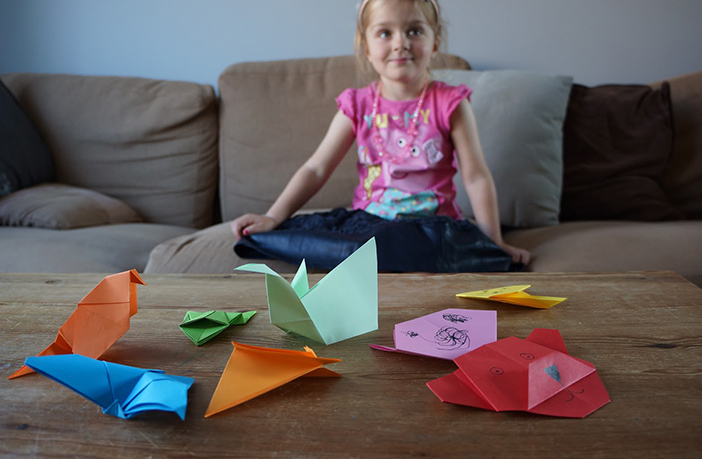 Take old newspapers and make simple origami shapes. You can try making animal farm one day, flower garden on another day, sea creatures on the next day, and so on. Help your children cut out their favorite pictures from old newspapers and magazines, and create a collage or you can make a family pictures collage with your children. Buy your child a hula hoop and make them circle it around their waist till they perfect it. If they already know it, make them practice the same with 2-3 hula hoops – one on the waist and the remaining in the hands. Play a memory game with a deck of cards. Shuffle the cards and lay down all the cards with face down, on a flat surface. Each player has to flip up two cards on every turn. The player gets to keep the pair of cards if he picks up similar cards. The player with the maximum number of pairs wins. Choose one player to be Simon. She has to first shout “Simon says” and then tell the action to be performed. 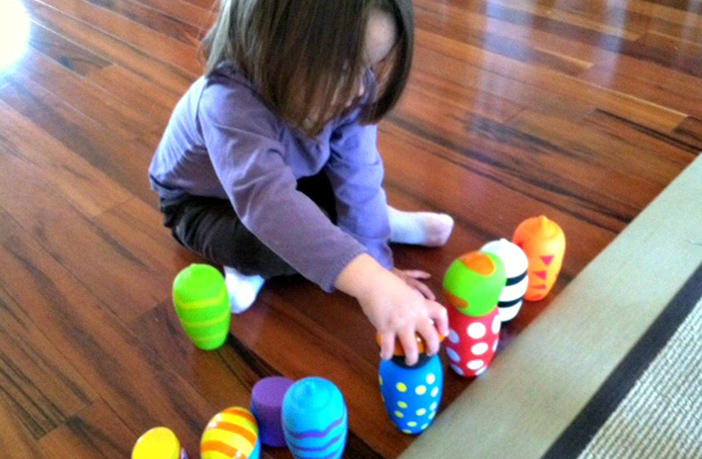 Example: The child can say “Simon says … touch your toes”. All the children have to touch their toes. Also, the children should not do any action that is not prefixed by “Simon Says”. It is a great game to play with multiple kids in the house. Make all the kids sit on the floor in a circle. Turn on some catchy tunes and have them pass on the hot potato (you can use a soft toy or softball for this). When the music stops, the person holding the potato has to move out of the circle. The last remaining child becomes the winner. If your child is just learning to write alphabets, this is a very good game. Make your child sit with the back facing you. Slowly write one alphabet on the back using your finger, and ask the child to make a guess. You can also write different shapes and ask them to guess the shapes. 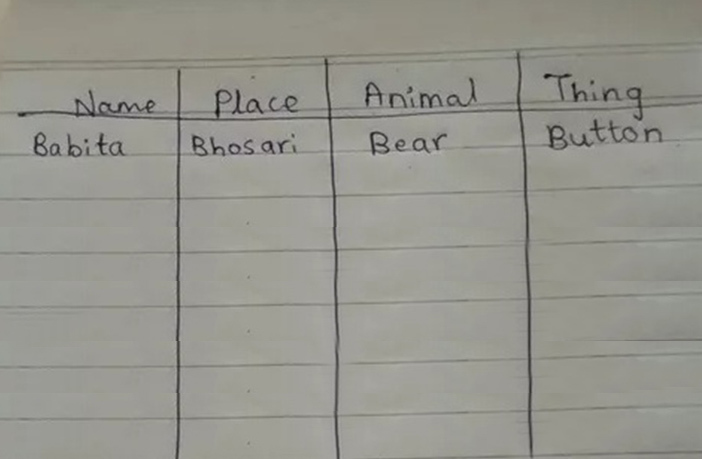 Give a sheet of paper to the children and ask them to make 4 columns for Name, Place, Animal, and Thing. Write all 26 letters of the alphabets in 26 different chits and pick one chit. All the children have to write the name of a person,a place, an animal and a thing, starting from the letter in the chit. Set a time limit of 10-20 seconds for each letter. Reward 10 points for every correct answer. The child with the maximum score will be the winner. 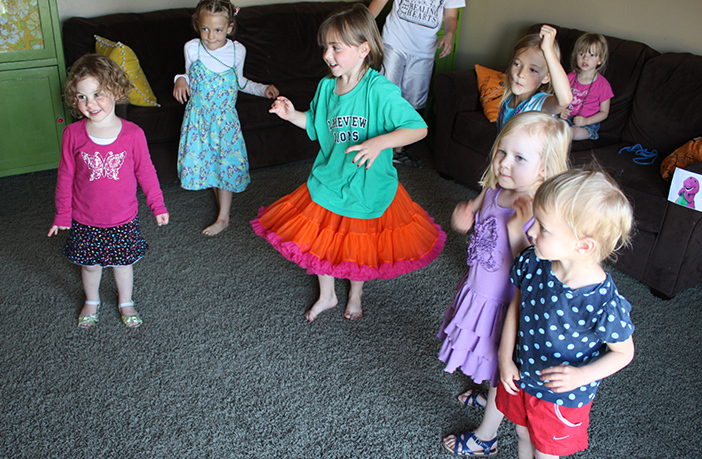 Play your children’s favorite songs and ask them to dance until the music stops. When it does, all the kids have to freeze in whatever positions they were in. Whoever moves, comes out of the game. To make this more interesting, ask them to freeze in specific animal poses. 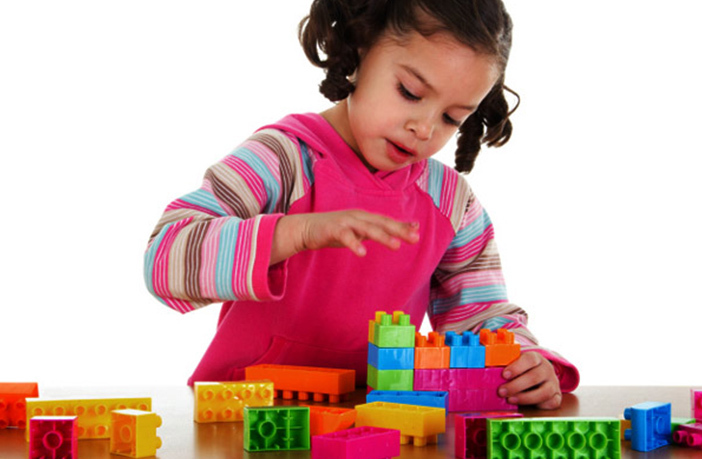 Ask them to build towers using playing cards, plastic blocks, or paper cups. Whoever build the tallest structure in the shortest time wins. 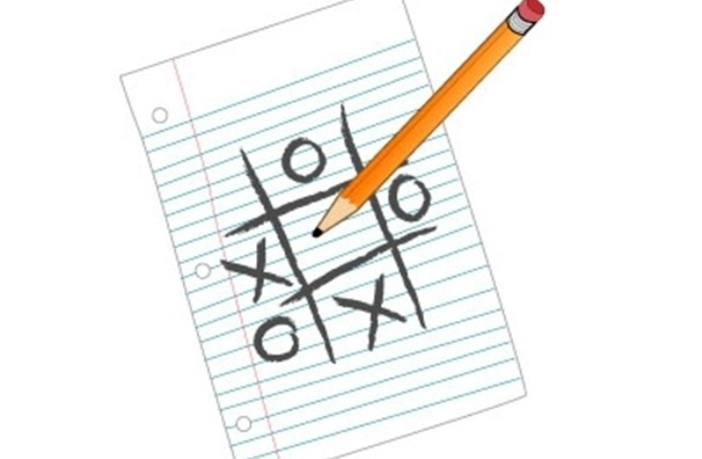 Teach your kids simple pencil and paper games like tic-tac-toe, dots, and boxes etc. This game is interesting for older children. Teach your kids different forms of painting like spray painting, scratch art, painting with wheels etc. Make use of old toothbrushes, old/broken toys, broken pastels etc. for these activities. 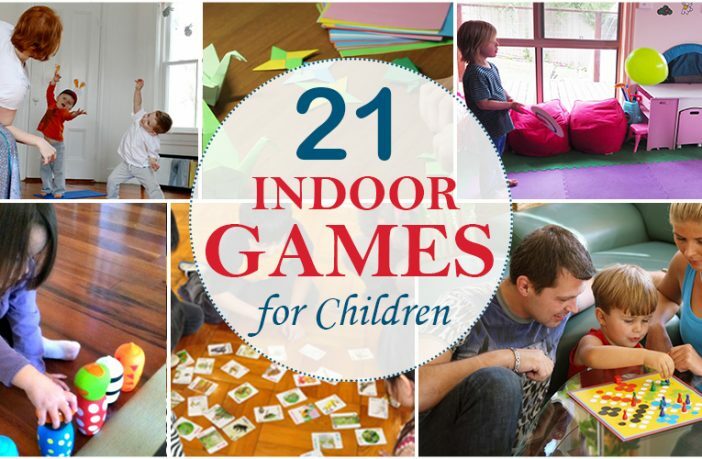 We have suggested a few games and activities to try at indoors. You can make as many variations to the list of indoor games and activities for children that are suggested to make it more interesting. Have a Great Holiday Season Mothers!